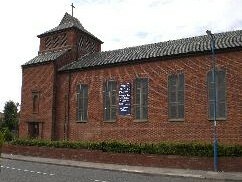 Holy Trinity is situated in West View Hartlepool. The church was founded in 1958 and replaced the old Holy Trinity, which had to be demolished. There is a ‘daughter church’ in Clavering, which is called St. Marks and is used by the community each day. We play an active role in the community and run a number of activities both in Hartlepool and at S. Marks. If you would like to know more, please get in touch.